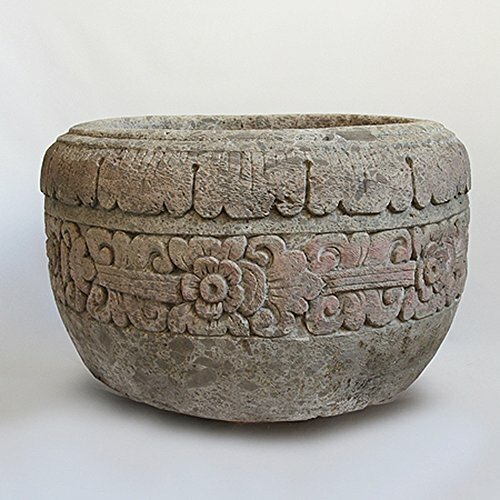 Hand carved Balinese mixed stone garden pot or planter. Traditional floral band carvings originally used to display water gardens. These carved pieces can be drilled for water drainage and planted or left solid and used as a water feature or art piece. Each may vary slightly in size and detail. If you have any questions about this product by Mix Furniture, contact us by completing and submitting the form below. If you are looking for a specif part number, please include it with your message.